The Event Guide is a full colour magazine dedicated to this event. It will feature a complete list of exhibitors, advertisements, event maps, articles on exhibitors and special products, entertainment and competition details, prize coupons and more. The Event Guide also doubles as a ready reckoner for future purchases after the event. 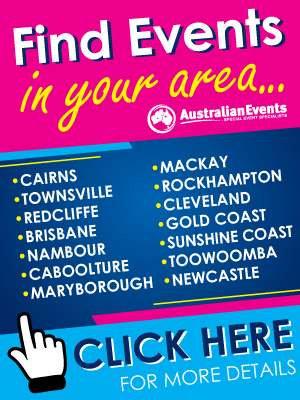 The event website is updated regularly and contains general event information, the list of exhibitors, featured exhibitor articles, competitions, prizes, attractions, entertainment and more. The event website receives thousands of page views leading up to the event and is complemented by social media feeds. Click here to view the statistics from 2018! For more information, download the marketing flyer. The flyer contains advertising specifications, package deals, website banner options and more. *PLEASE NOTE: Only exhibitors who have paid all site fees in full (including the business directory fees) and have submitted this form by the due dates will be included in the Event Guide Directory. If this form is not completed before the due date, Australian Events may provide a basic listing only but will not accept responsibility for errors or omissions. Business Name (published) * This MUST be your registered business name or Trading As registered business name, no other entries will be accepted. What products and services will you specifically be bringing to this event? Please note that patrons may attend this event to specifically see the product you list here, so please be accurate. This description will be published to the event website. Instructions Please select any additional advertising options listed below. If you do not wish to purchase any additional advertising, continue to the bottom of the form. The event website receives thousands of page views leading up to the event and is complemented by social media feeds. Premium Right Hand Banner: $400.00 - Size: 300px (W) x 400px (H), (only 2 available). Secondary Right Hand Banner: $300.00 - Size: 300px (W) x 240px (H), (only 2 available). Bottom Page Banner: $300.00 - Size 905px (W) x 150px (H), (only 2 available).Bottom Page Banner: $300.00 - Size 905px (W) x 150px (H), (only 2 available).Bottom Page Banner: $300.00 - Size 905px (W) x 150px (H), (only 2 available). Event Guide Marketing Package 1 - 1/6 Page Advertisement, pin on the event map and highlighted business listing in the Event Guide. Plus Live event announcements at the event and a Featured Exhibitor article on the event website $400.00. Event Guide Marketing Package 2 - 1/6 Page Advertisement, 1/12 Page exhibitor editorial, pin on the event map and highlighted business listing in the Event Guide. Plus Live event announcements at the event and a Featured Exhibitor article on the event website $500.00. Event Guide Marketing Package 3 - 1/4 Page advertisement, 1/12 Page exhibitor editorial, pin on the event map and highlighted business listing in the Event Guide. Plus Live event announcements at the event and a Featured Exhibitor article on the event website $600.00. Digital Marketing Package 1 - Package includes a Secondary or Bottom Page Banner Advertisement and a featured exhibitor article on the event website. PLUS your featured article will be included within one EDM (email newsletter) and shared on the events social media channel $450.00. 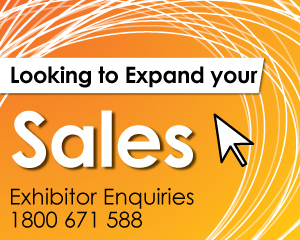 Digital Marketing Package 2 - Package includes a Premium Right Hand Banner Advertisement and a featured exhibitor article on the event website. PLUS your featured article will be included within one EDM (email newsletter) and shared on the events social media channel $550.00. I will supply my own artwork by the due date. Please create my advertisement for me. Payment Options PLEASE NOTE: All additional advertising MUST be PAID IN FULL upon booking (Visa or MasterCard). Australian Events staff will be in contact for payment details upon receipt of this form. Event Guide Terms and Conditions By completing this booking request you agree to be bound by the following terms and conditions: (1) Exhibitor listings will only be accepted if (a) this form is completed in full and returned to Australian Events before the booking deadline and (b) all site fees are paid in full by the due dates. (2) All advertising copy must be supplied to Australian Events before the copy deadline. (3) Australian Events reserves the right to edit or refuse any listing or advertising upgrade without notice. (4) Australian Events take no responsibility for errors or omissions. (5) All advertising upgrades must be paid in full upon booking. (6) Cancellations of advertising upgrades will only be accepted in writing. (7) There are no refunds available on any advertising or upgrades, as indicated in the Exhibitor Terms and Conditions for this event. Subscribe to our Email Newsletter Club to go into the draw to WIN PASSES, other great prizes and stay up to date with the latest event news!